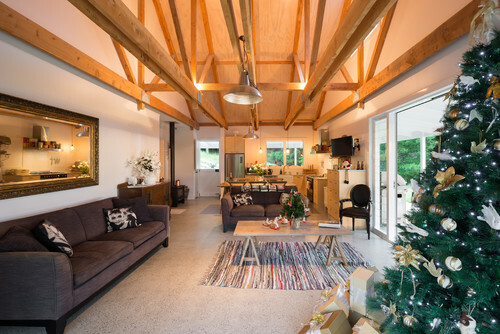 Building a dream home close to grandchildren is an oft-expressed desire for grandparents and this was certainly the case for Wayne and Irene Veale of Auckland, New Zealand. The designed and built much of their barn-like farmhouse with their own two hands. Irene, an interior designer, lended her expertise to the overall design and layout of the home. While Wayne labored for over a year and a half to build much of the farmhouse himself. The 2500+ square foot home features 3 bedrooms and 1 bath with an open concept living space that is designed to accommodate Irene's love of entertaining. In addition, when the weather is just right, the homeowners and guests can easily drift out onto the expansive covered porch that surrounds almost half the home. This outdoor living area provides an unencumbered view of the surrounding landscape. Stately beams, designed to cover the expanse of the kitchen and living room, were constructed out of Monterey cypress. This type of wood can also be seen in the home's only bathroom and has been applied to the walls to provide a comfortable accent. The exterior of the home is clad in board-and-batten and stained with a deep black finish. This color palette continues to the steel roof and garage door. 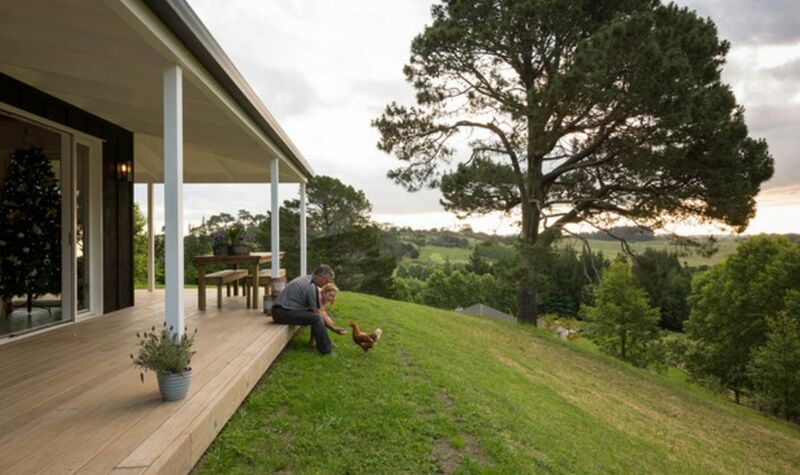 This creates a striking facade for this family-oriented farmhouse on a hill. 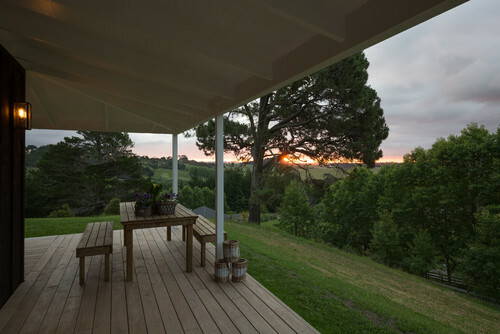 A spacious wraparound porch provides protection from the sun and a comfy place to rest at the end of the day. The main living area boasts high ceilings accented by hefty wood beams. These wood beams allow the eye to continue upward while also creating an intimate atmosphere for family functions and dinner with friends. The rustic kitchen remains simple and uncluttered with its lack of upper cabinetry and its neutral color scheme. 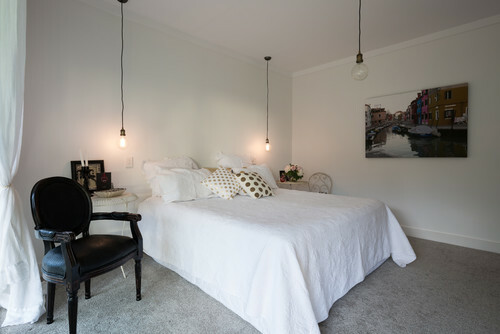 The master bedroom features a light and airy color scheme based primarily on white and black with a few hits of gold. 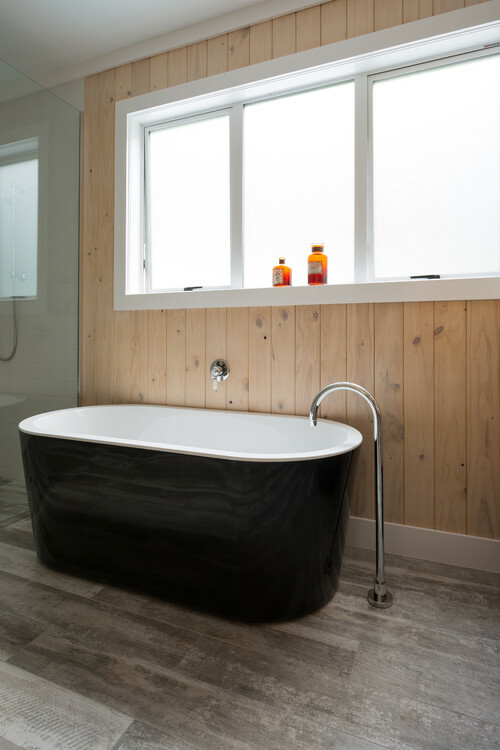 Wide plank gray flooring contrasts beautifully with the bathroom's stand-alone soaker tub. 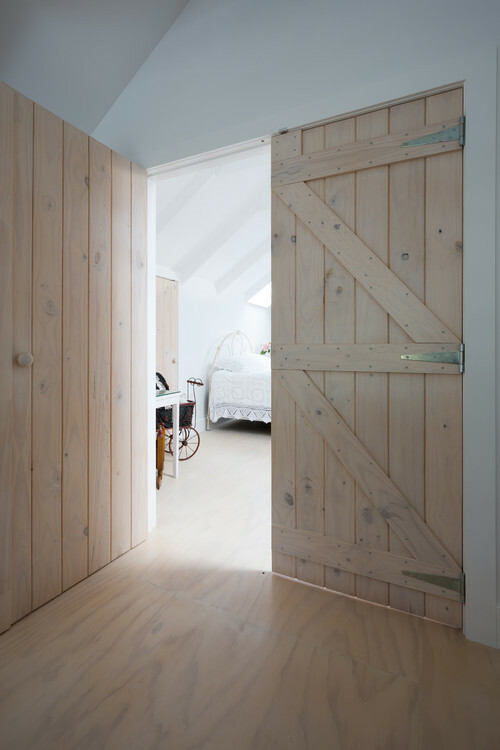 Swinging barn doors, stained a light gray, provide access to one of the home's guest bedrooms. 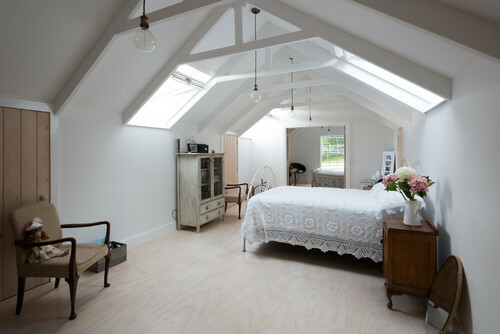 This guest bedroom contains lofty ceilings and skylights for added natural light. 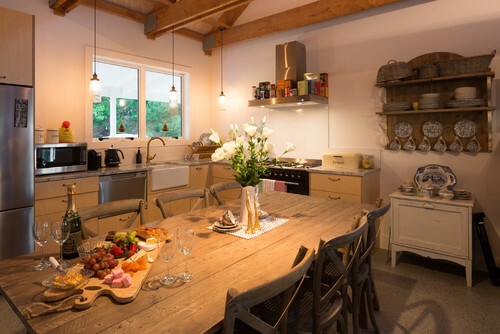 Does this rustic farmhouse have you wanting to escape to New Zealand? Then head on over to Facebook to share your new-found love.